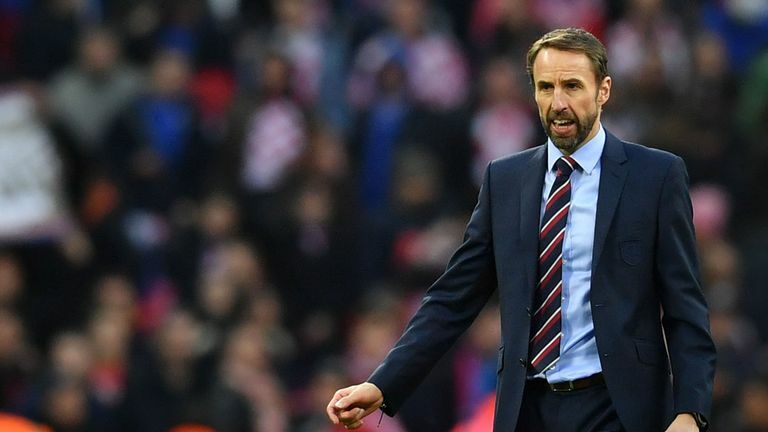 The draw for the Euro 2020 qualifiers has been made - and, with the final at Wembley, manager Gareth Southgate says England have a huge incentive. England will face the Czech Republic, Bulgaria, Montenegro and Kosovo in Euro 2020 qualifying Group A - after Gareth Southgate's team were the first country to be drawn out on Sunday morning. Northern Ireland will take on heavyweights Germany and the Netherlands in Group C, as well as Estonia and Belarus. New Republic of Ireland manager Mick McCarthy saw his team drawn in Group D alongside Switzerland, Denmark - who beat the Irish in a play-off for a 2018 World Cup place - Georgia and Gibraltar. Ryan Giggs' Wales side were placed in Group E with World Cup finalists Croatia, Slovakia, Hungary and Azerbaijan. And Scotland will tackle the World Cup semi-finalists Belgium and hosts Russia in Group I, plus Cyprus, Kazakhstan and San Marino. The Republic of Ireland were originally drawn in the tough-looking Group C - but had to be moved to Group D because a maximum of two host association teams could be drawn in the same group. Northern Ireland were the next country to be pulled out and will therefore have to face Germany and the Netherlands. To celebrate the tournament's 60-year anniversary, Euro 2020 will take place in 12 different cities, stretching from Bilbao in Spain to Baku in Azerbaijan, with the final to be held at Wembley. The new format offers a potential back door for any top side that struggles in qualifying, while also handing the leading minnows from the lowest division - Kosovo, Georgia, Belarus and Macedonia - a chance at the last qualification place. No team will qualify automatically as hosts, although every host country that qualifies will be guaranteed two home games in the group phase.